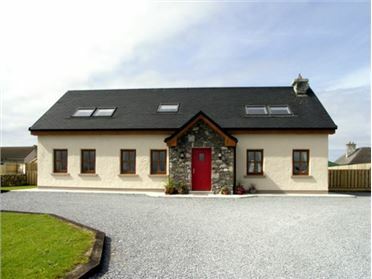 Island View is a lovely detached house situated in Corraun, close to Achill Island in County Mayo. 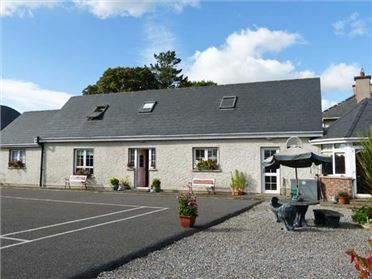 This cottage sleeps twelve people in six bedrooms, consisting of four doubles, two of which have en-suite showers and there's two twin bedrooms available, together with a bathroom. The cottage also has a kitchen with breakfast bar, a dining room, a sitting room with solid fuel stove, another sitting room with electric fire and a third sitting room with a double sofa bed and an electric fire. Outside there's enclosed lawned gardens with furniture and ample off road parking. 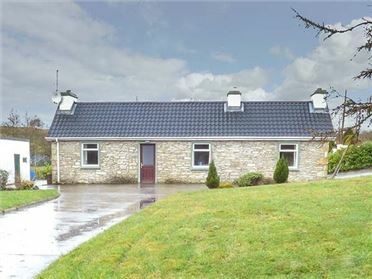 Island View is a great County Mayo base. 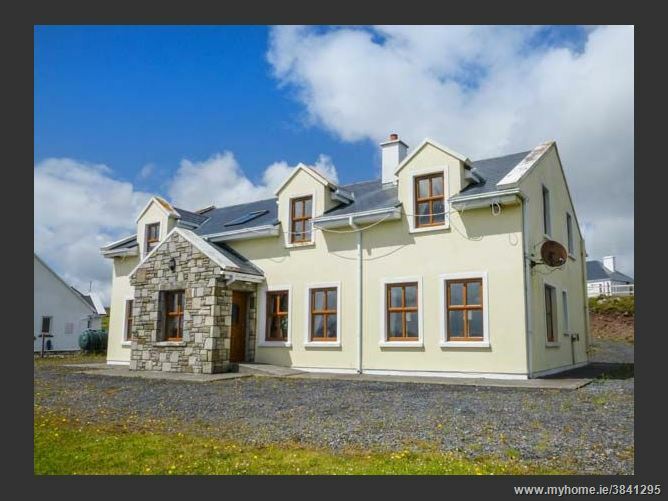 Six bedrooms: 4 x double (two with en-suite shower, basin and WC), 2 x twin. Bathroom with bath, basin and WC. Kitchen with breakfast bar (seats 4). Utility. Dining room (seats 6). Sitting room (seats 5) with solid fuel stove. Second sitting room (seats 5) with electric fire. Third sitting room (seats 4) with double sofa bed and electric fire. Oil central heating with solid fuel stove and electric fires. 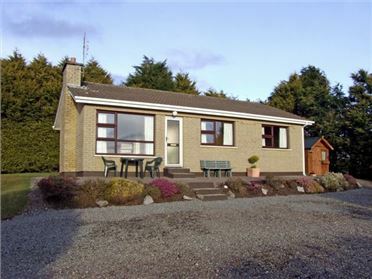 Gas range oven and hob, microwave, fridge, freezer, washing machine, tumble dryer, dishwasher, TV with Saorview, DVD, CD/radio, selection of books and games. Fuel, power and starter pack for stove inc. in rent. Bed linen and towels inc. in rent. Cot. Ample off road parking. Enclosed lawned gardens with furniture. One well-behaved pet welcome. Sorry, no smoking. Shop 7.5 miles, pub 10 mins walk.